When sun shines on the skies of Ontario and the weather gets warm, there is no better place in your home than the backyard to relax and have fun. But, you wouldn’t feel like doing it if your backyard is bland and boring. A well designed outdoor area is one that takes into account all the senses. To please your sense of hearing, consider adding a fountain in your backyard. The sound of the moving water is one of the most calming and soothing sounds that will take away all your stress and fatigue after a long day at work. Getting a pergola build in an outdoor space is one of the best ways to completely change its outlook and appeal. Pergolas are classy, chic, and timeless. They not only provide you shade, making it possible for you to spend time outdoors even on sunny days, but also increase the value of your home. Pergola also provides a distinct space that you can use for an intimate seating arrangement or dining. To get pergola ideas and estimate for your Ontario house, call 909-303-6788 to get in touch with the best pergola builders in Ontario, CA. Want to give your backyard the tropical feel? A hammock looks great in all kinds of settings and also provides a relaxing place to unwind. What’s better than spending lazy Sunday afternoons in the hammock with a book and a glass of fresh juice? While you are likely to already have some plants in your backyard, increasing the number of plants is never a bad idea. Adding different types of plants will not only improve the visual site of your backyard, but the smell of fresh flowers will also make you feel fresh. For better results, try using some hanging pots or paint the pots in different colors to liven up the environment even more. While some of these tasks are simple enough to be completed on your own, bigger projects, like building the pergola be left to the pros. 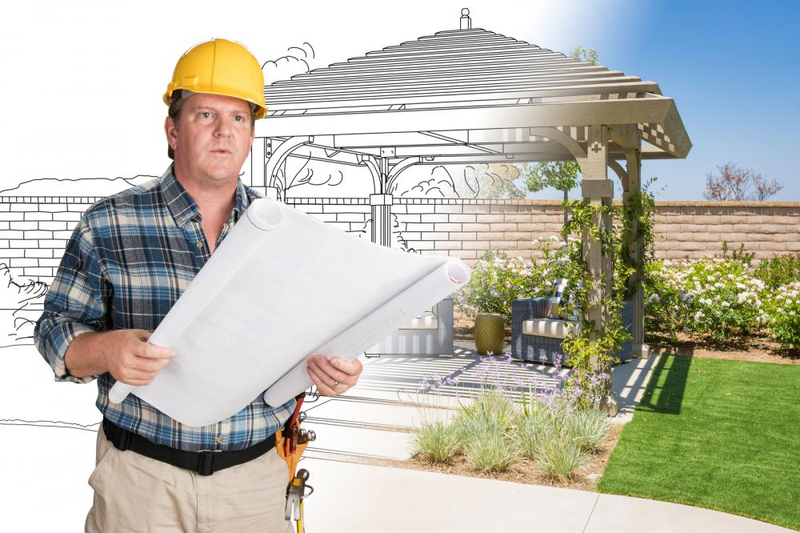 Pergola experts from the SoCal Pergola Company can take care of your entire project; from designing to installation. Let us take care of the difficult task while you do what you are best at – perhaps plan a grand barbecue party for your family and friends in your renovated backyard. 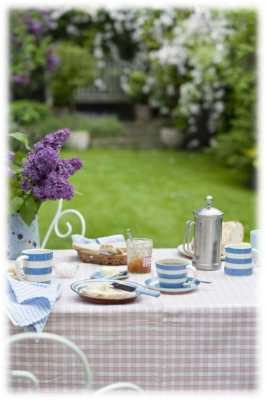 The article presents 4 simple ways to spruce up your outdoor space and create your own little oasis before the summer season begins. Do you love spending time outdoors, but do not enjoy sitting in the boring backyard of your house? Are you looking for ideas to upgrade your backyard to enhance your outdoor living experience? If yes, then we have a simple solution for you – add a pergola! It is surprising how this simple structure can transform your bland and boring backyard into a beautiful outdoor living space. One of the greatest benefits of adding a pergola to your backyard is that it extends your living space beyond the walls of the house. There are many people who love spending time outdoors, but are forced to stay inside because of the weather conditions. Heat and rain are some of the most common reasons people cannot spend as much time in their backyards as they like to. Adding a covered pergola is the best solution to this problem. By providing shade and comfortable seating, a pergola makes warm afternoons and rainy evenings a lot more enjoyable. Pergola covers are available in a variety of materials and styles, so you are sure to find one that suits your needs and style. Looking for a pergola company in Ontario, CA? 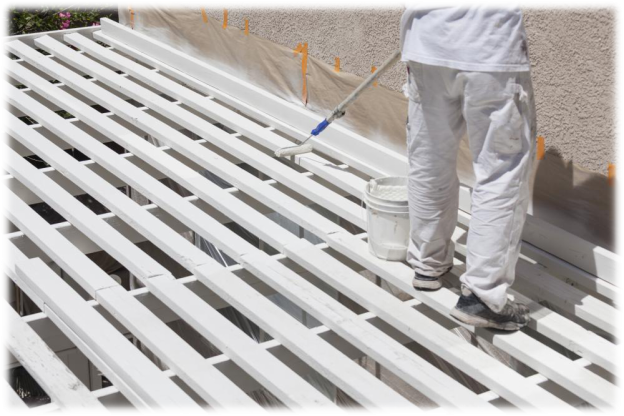 Contact SoCal Pergola Company to get the best services at the best rates! According to real estate experts, attractive landscaping can increase the value of a house up to 20%. With the increasing popularity of outdoor living trends, most of the buyers prefer to buy houses with outdoor structures, like gazebos, pergolas, and arbors. Adding a pergola in your backyard is one the best landscaping ideas for people who do not want to send a huge amount of money in renovating the outer spaces. A pergola is affordable as compared to other outdoor structures, but it looks equally beautiful (or more, if you know how to decorate it). Even a simple wood pergola can be a significant asset if you are planning to sell your house anytime soon. Summer is the time for outdoor parties. With a pergola in the backyard, you have your own party area that is not only beautiful, but also versatile. Whether you want to throw a BBQ party or a cocktail party or just want to chill with your friends with some wine, pergola provides just the kind of environment you need. It is beautiful and luxurious, yet has a laid back and relaxed appeal. A pergola is a simple outdoor structure that can significantly increase the beauty of your backyard and make it a lot more appealing. No matter how you decorate it and what you use it for, a pergola is an addition to your house that everyone will love. Always get the pergola built by a reliable company to make sure the best materials are used. Pergolas in South California| Is Pergola Trending in Restaurants and Hospitality? Searching for better approaches to amplify your outside land? Among the most smoking new trends in the restaurant and hospitality industry is Pergolas. Offering visitors a modern exterior and a great seating choice, Pergolas in South California protect the visitors from nasty climate, shield them from the sun, and let them enjoy the beautiful breezy weather outside. Adorn your restaurant and hospitality trade shows with beautifully built pergolas that can add elegance to any exterior. Pergolas are really great for attracting visitors, and most of them have given good feedback to restaurant owners who have installed pergolas outdoors. Designed to adjust to a wide range of climate conditions from rain and substantial snow to high breezes, sun, and ruthless coastline climate, Arcadia rooftops require low maintenance for any business, offer extra usable space, increase visitor ticket costs, and offer alternatives for rental space for private occasions, for example, conferences, occasion gatherings, weddings, and the sky is the limit from there, giving a quick degree of profitability. 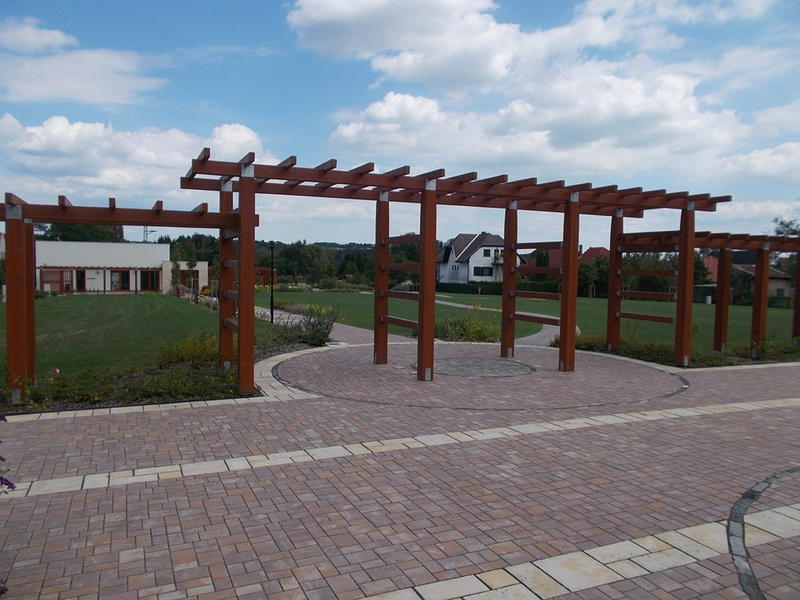 Accessible in single and multi-zone frameworks of any size, Arcadia pergolas can be customized exactly in accordance with your taste, offering a variety of choices and themes to match your outside setting. You have the liberty to choose from faux wood wrap, customized colors, custom end cuts, decorative columns, and functional features to keep guests all relaxed and comfortable, no matter how the weather might be. It offers solar shades and motorized screens, built in decorative lighting, outdoor heating and cooling options, privacy walls/ curtains, patio heaters, simple ceiling fans, and impressive fire and water features. Start looking for Pergolas in South California today to decorate your restaurant's exterior.